Snow Patrol Christmas Roller Skaters / Stilt Walkers are perfect for winter wonderland events, as well as Christmas corporate events and anything Winter themed! The beautiful Christmas Roller Skaters and Stilt Walkers costumes will compliment any event and will really get your guests in the Christmas mood. If you want to book unique, high quality Christmas entertainment, we thoroughly recommend these lovely Christmas Roller Skaters and Stilt Walkers. 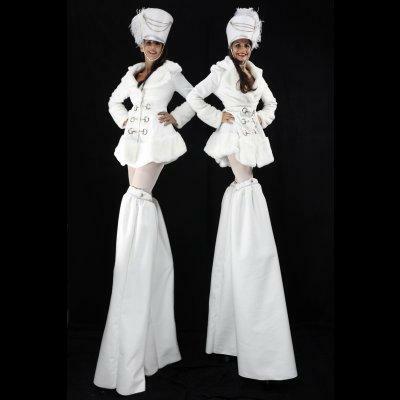 Interactive, “roll-about” and stilt walking entertainment to enliven any event! The Snow Patrol Christmas Roller Skating act is great for Christmas parties and promotions, as well as Christmas Lights Switch-Ons.